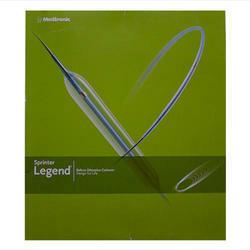 Pioneers in the industry, we offer sapphire coronary dilatation catheter, sprinter balloon dilatation catheter, mini trek coronary dilatation catheter, maverick ptca balloon catheters and medtronic export ap aspiration catheter from India. 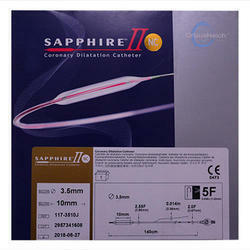 Being a renowned and the highly trusted enterprises in this industry, we are offering an optimum quality assortment of Sapphire Coronary Dilatation Catheter. 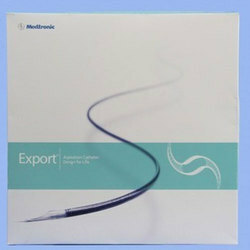 Our organization is highly instrumental in offering an exclusive collection of Sprinter Balloon Dilatation Catheter in the market. 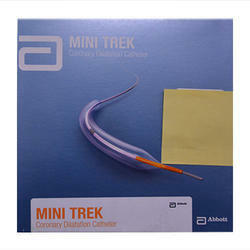 Being a trustworthy name in the industry, we are able to offer a superior quality array of Mini Trek Coronary Dilatation Catheter to our patrons. 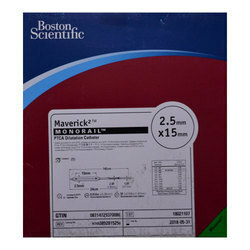 We are listed to be one of the noteworthy names for this impeccable selection of Maverick PTCA Balloon Catheters at very affordable rates.